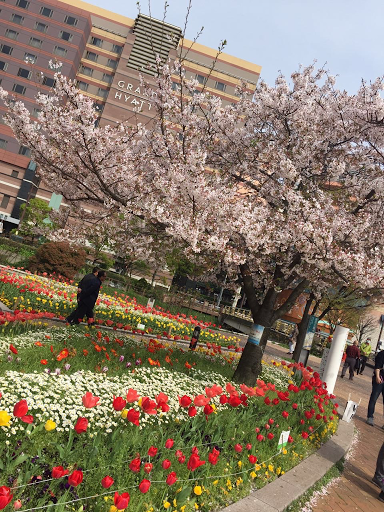 It was a lovely spring day in Fukuoka, Japan! 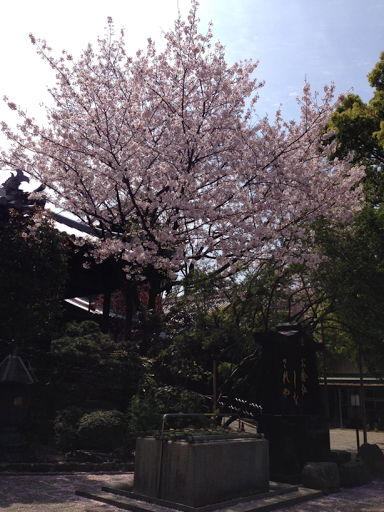 Cherry blossoms were still in bloom. 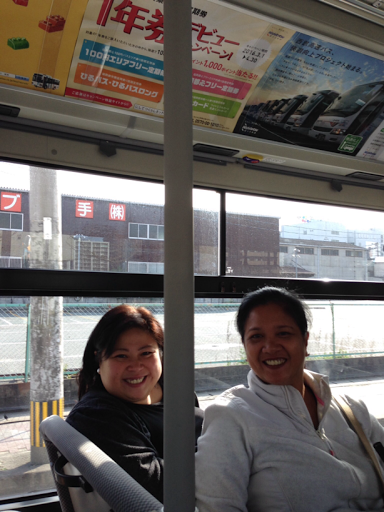 We rode the shuttle bus to the Hakata Port International Terminal from the ship, Quantum of the Seas. 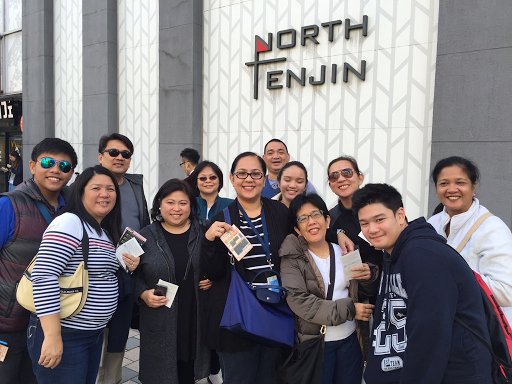 The group was dropped off at Tenjin station. 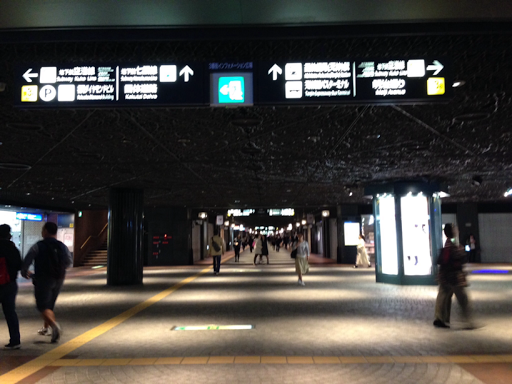 We walked through the underground shopping area then rode the subway to Ohori Sation. That's where the Ohori Park is located. After a few photo ops with the Ka Escapades, I then ventured on my own. I spent a lot of sleepless nights researching for places to eat. That was my "eatinerary". 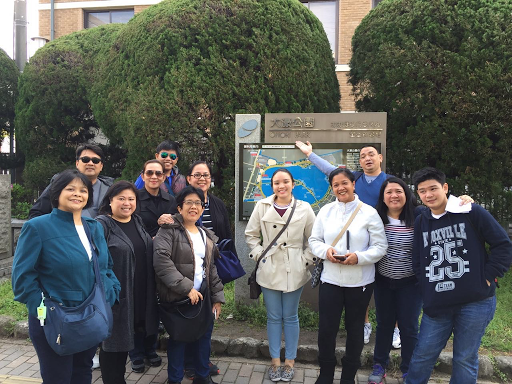 The group's itinerary was more on sight seeing. Mine was eating and food shopping! 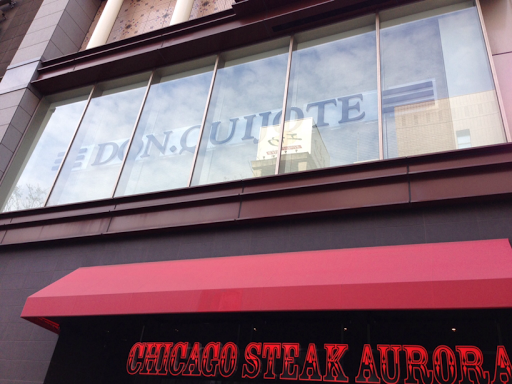 I took the subway to Nakazu Kawabata station and took Exit 4 which led me directly to Don Quijote. The exit is at the basement of the building of the mall. 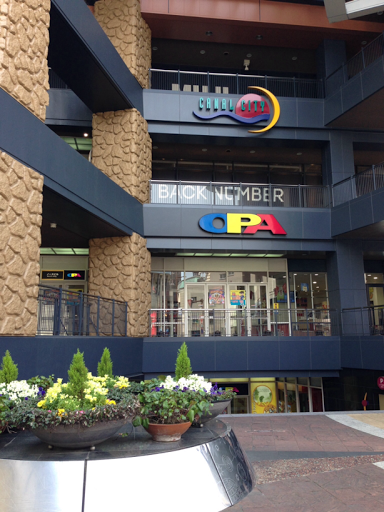 It is a 24 hour department store located on the 2nd floor. 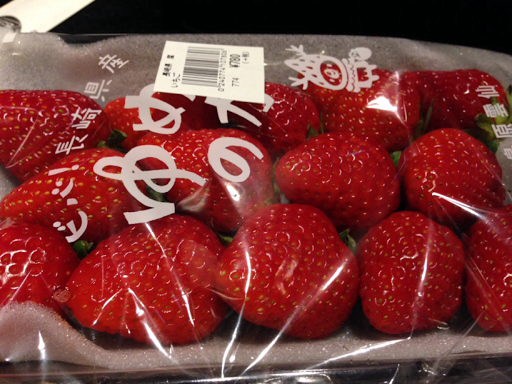 There is also a supermarket on the first floor where I bought very sweet Japanese strawberries. After my 2 hour food shopping spree at Donki, it's Don Quijote's nickname, I took a subway again towards Gion Station this time. 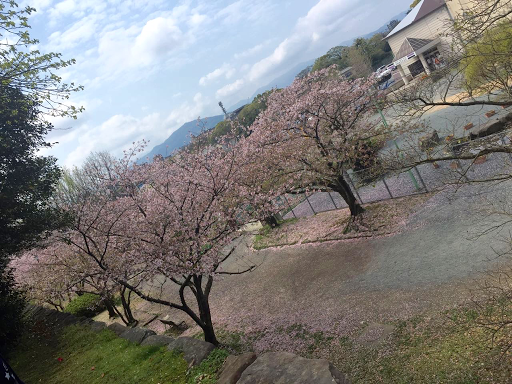 I'm not too keen on Cherry Blossoms but most of my friends say people pay a premium to see the Cherry Blossoms in bloom. It doesn't do anything for me... But hey.... I was already there so might as well take a photo. 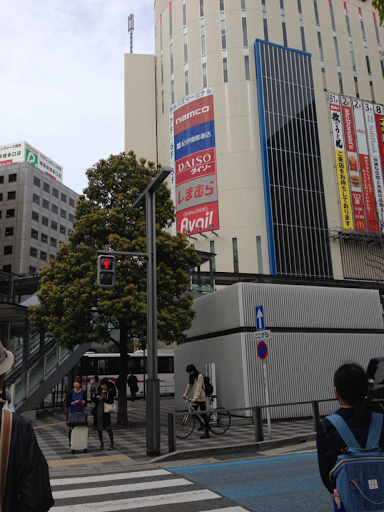 A quick walk after the shrine and then I saw Canal City! 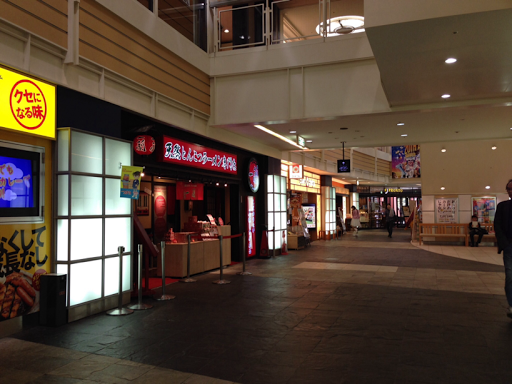 A few months before the trip, Crisitna said I have to memorize the facade of this restaurant, Ichiran Ramen. 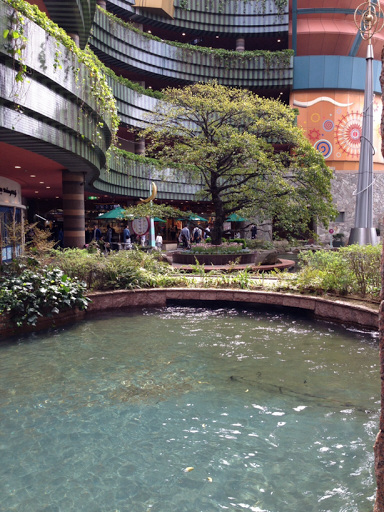 I was so delighted when I saw it in Canal City upon entering the mall via its basement entrance! When I travel alone, I observe the how the locals do things and follow them. 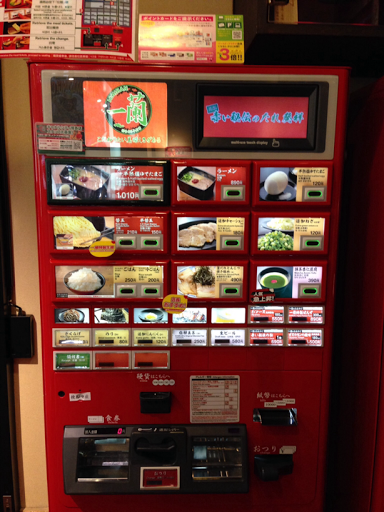 You choose from a vending machine what you like to order. It wasn't difficult because there were pictures. 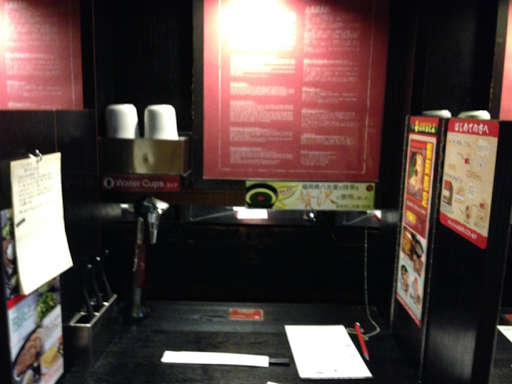 Then you get your ticket from the vendo and enter the restaurant where you have individual booths. 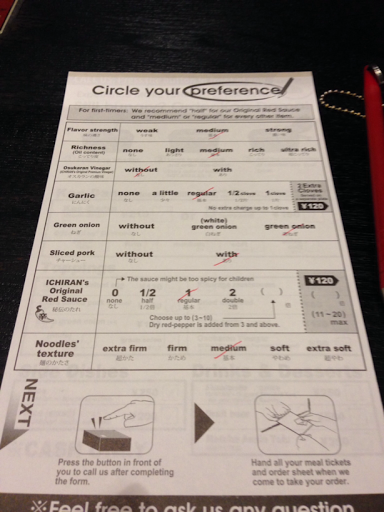 There is a piece of paper in the booth where you can tick off your preferences. 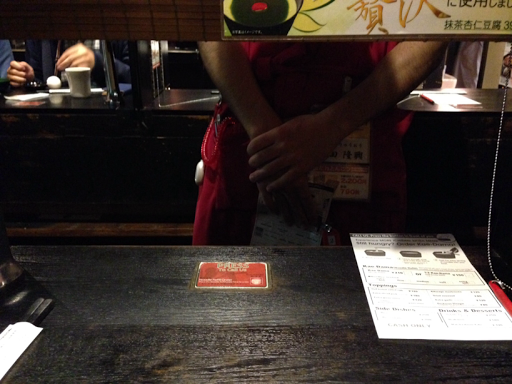 Push the button on the table and the waiter's hand will go through the window to get to your sheet and ticket. Your ramen is served! 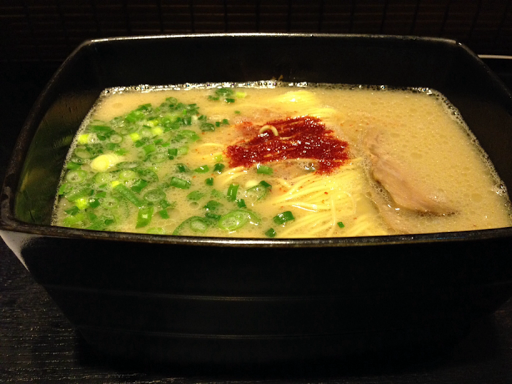 I ordered the Tonkatsu Ramen. 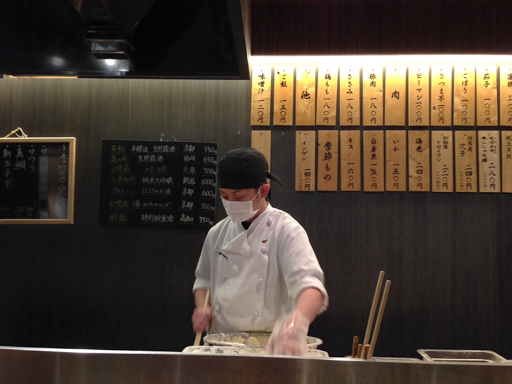 The pork is simmered for a very, very long time and impurites are skimmed off every so often. The broth was very flavorful. The chewiness of the noodles and degree of spiciness I chose was medium. I ate a few pieces of the strawberries after my meal. 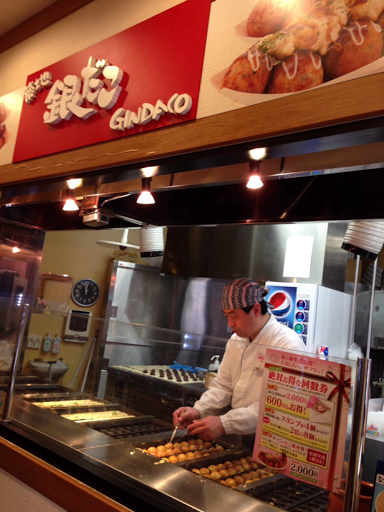 The next item on my "eatinerary" was takoyaki. I found it near the ramen resto! So..... It means.... I had to eat! I ordered 8 pieces. The outside was so crisp and the inside was creamy! And.... Delicious! 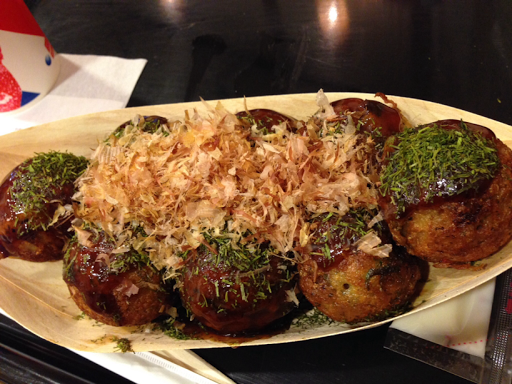 Unlike the takoyaki balls we eat here in Manila which has too much starch. 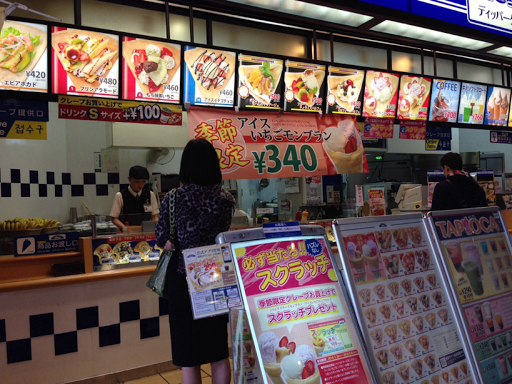 My Ate said I have to try the crepes in Japan. I was still in the same food area when I saw Dipper Dan! 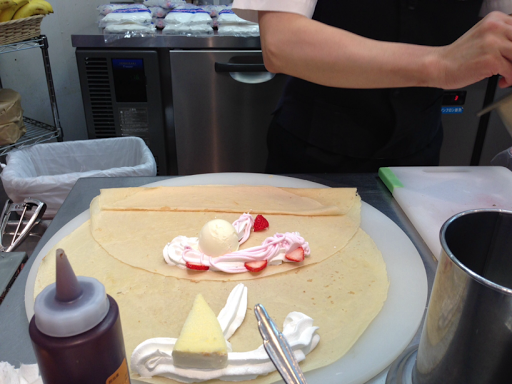 I ordered the strawberry crepe. and then the cashier asked me to pick a stub from the box! They clapped when they saw what I got! 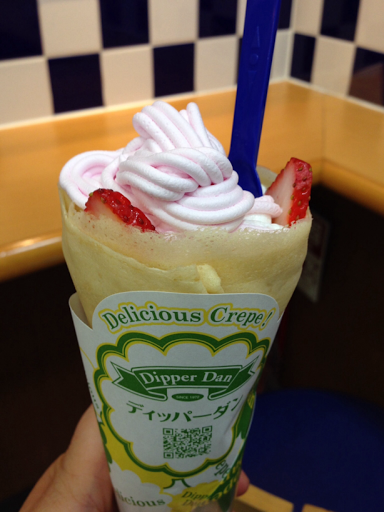 Another crepe! I ordered blueberry cheesecake. I told them it was for take away! I was hoping to see one of the Ka Escapades kids in the mall. I knew they were going to have lunch at the Ramen Stadium. Lo and behold, I saw Marty! I gave him the blueberry cheesecake crepe. I went around the mall and saw an internet kiosk by the escalators! 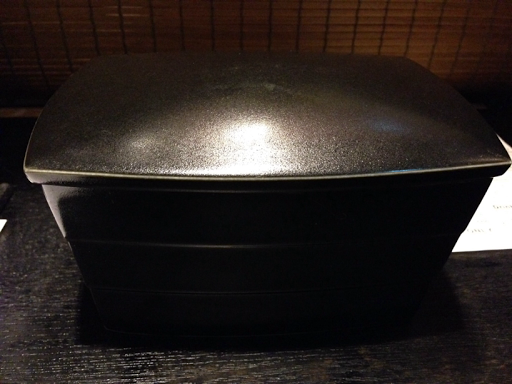 100 yen for 10 minutes! 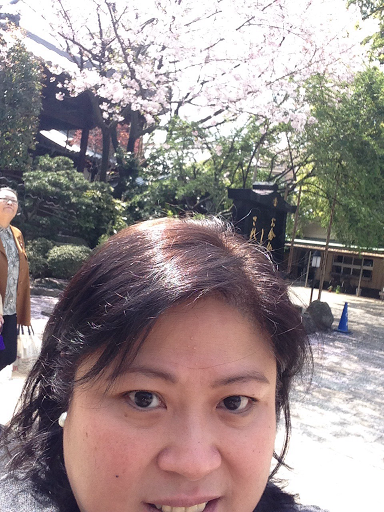 I was able to login to FB to say hello to everybody. 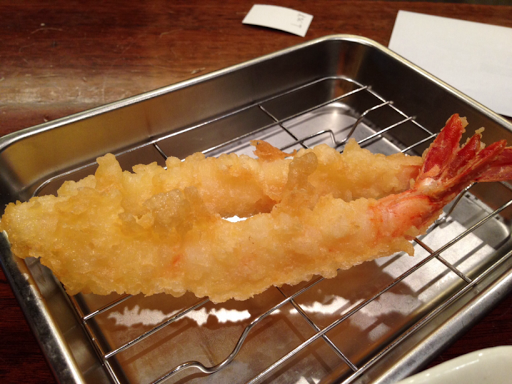 Last on my list to eat.... Ebi Tempura! 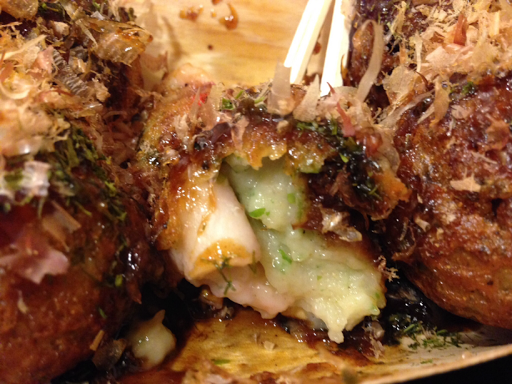 I could not possibly eat a whole Tempura meal because I have been eating and eating! Best option was 2 pieces. The batter was crunchy, the inside was like crystal prawns. All of that eating was done in a span of 2 hours! 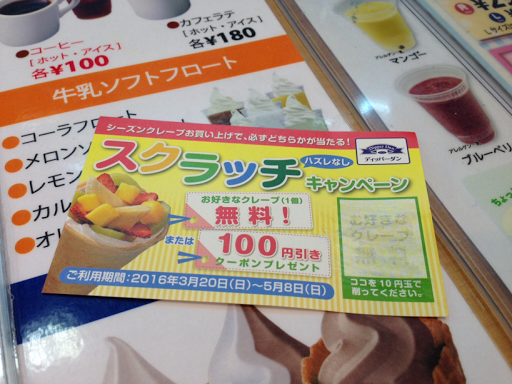 I am mighty proud of myself because I was able to complete my "eatinerary" in Fukuoka! Next on the agenda was Daiso! 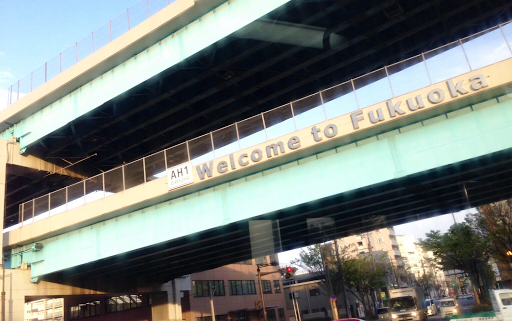 I asked the locals how to get to JR Hakata. They just pointed northward. I thought it was very near but took me 30 minutes to get to my destination! Good thing I was wearing very comfortable boots! 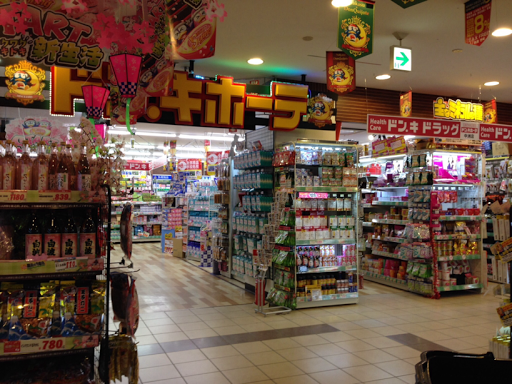 Another hour or 2 spent shopping in the ¥108 store! 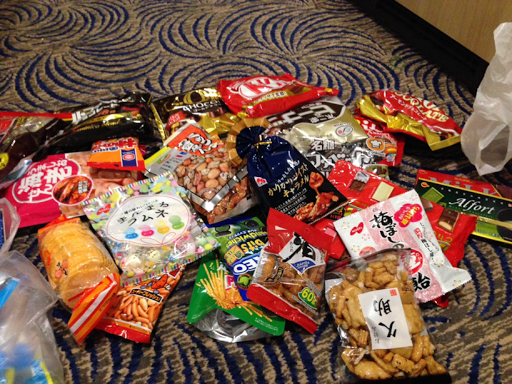 I bought lots of stuff and some snacks. Oh my goodness! My shopping bags were so heavy! I was running out of time! It was almost 5 pm! 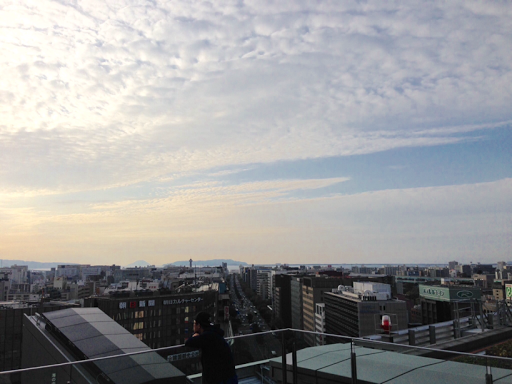 I then crossed to JR Hakata and went up to the roof deck observatory. 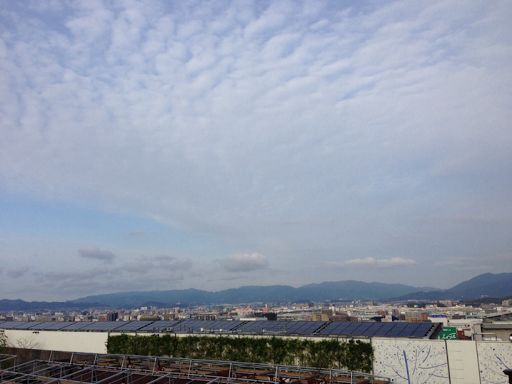 It afforded a 360 degree view of Fukuoka. No more selfie this time, I asked a young man to take my photo. 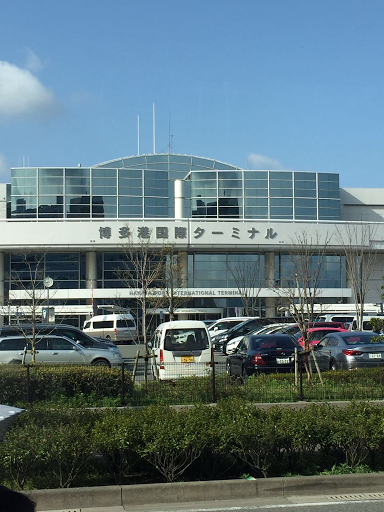 It was time to ride the bus back to the Hakata Port International Terminal. I took the bus no. 88 at bus station E across the mall. While I was waiting for the ship's shuttle bus, I ate the rest of the strawberries! Lol! The rest of the Ka Escapades saw me eating it one after another. You cannot bring fruits in the ship. 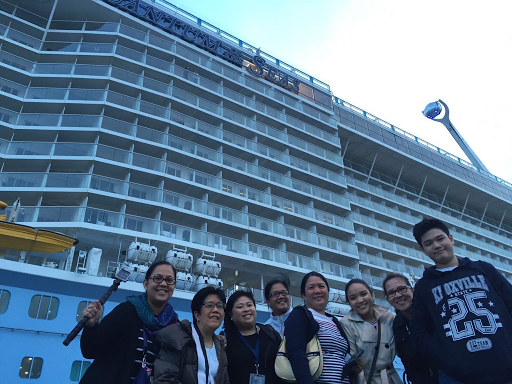 Last photo op before boarding Quantum of the Seas. Alvin, Miko and Marty were up there! The round thing on top of the ship is called the North Star. I have to go back to Japan soon! Hahahahahaha I forgot! The highlight of my Japanese adventure was the toilet! Ohhhh how I loved the toilets in Japan! Hahahahaha! I had to check all the restrooms in the malls. Hi! 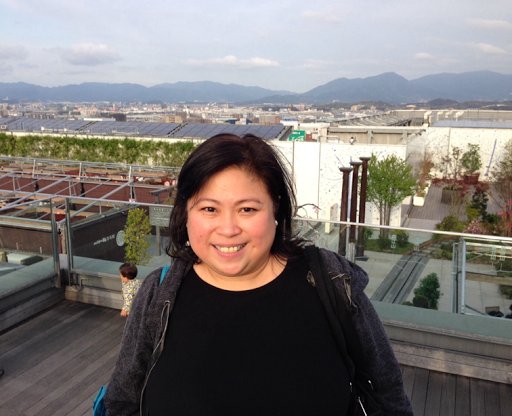 I read your blog when I was searching for the best food resto in Cebu. Since then I read your blog from the start. So happy you tried Ichirsn it's the best ramen for me. 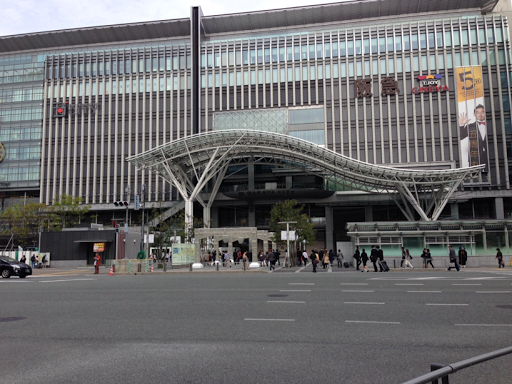 I heard that the original branch is from Fukuoka. You should visit Japan next time. I also love their toilet! Hi Erika! 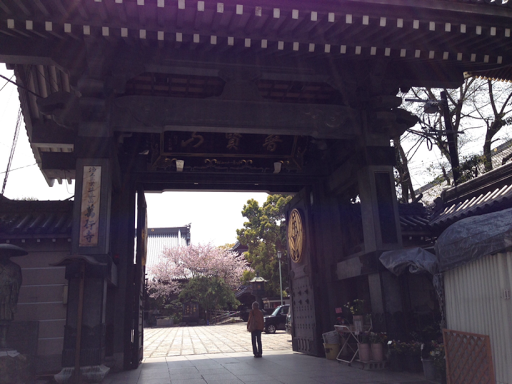 Thank you for reading my blog all the time! 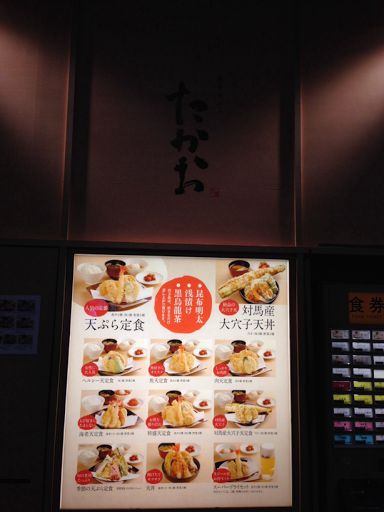 The Ichiran Ramen adventure was a good one! I need to go back!